This week's Irish Cruiser Racer Association (ICRA) meeting in Portlaoise heard a full agenda that included plans for the defence of its Commodore's Cup title. Putting a team together to retain the Cup will be no easy feat especially with this week's news Great Britain intends to send four strong teams to Cowes in July 2016. So far word from the Kildare meet suggests victorious Royal Cork team Captain Anthony O'Leary will very much be part of the title defence but, as previously reported, the acclaimed shore team of Fintan Cairns and Barry Rose will step down. 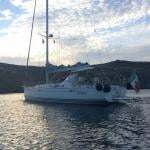 Quokka, the UK owned 43–footer that filled the middle slot for Ireland in 2014, appears to be still connected with skipper Michael Boyd but she is also for sale so it is unclear if she will be available next summer. A small boat is now required for the 2016 team and a JPK 10.80 (a sistership to this year's Fastnet winner) is heading for Dublin Bay next year and although selectors have identified her as a key candidate it does not mean the new owner will necessarily put the boat forward. 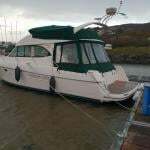 Afloat.ie understands other options for the small boat are also being considered, including a link up with a UK based JPK 10.80. Meanwhile, selection is open for the Great Britain team, with the RYA planning to send four teams of three boats to represent Great Britain. The RYA is seeking expressions of interest from owners and teams who would like to compete for Great Britain at the 2016 event. Teams comprise of three boats within the IRC rating 1.0 - 1.230. One team will be nominated by RYA Scotland and the other three by the RYA. 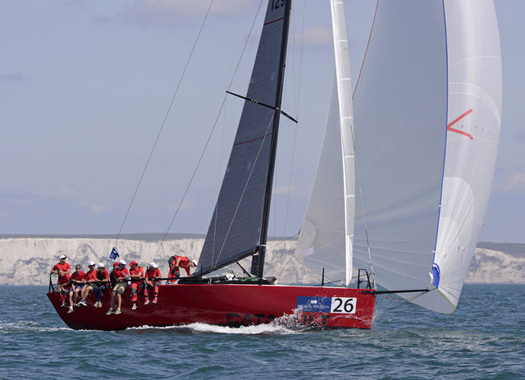 The seven day event consists of two offshore events within the English Channel and a number of inshore events in the Solent, pitting three-boat teams against one another to win overall team points. The selection process will begin in the New Year with a number of events defined as selection regattas. The completed RYA selection Trials Entry Form and proposed crew lists for the Selections Trials of the GBR teams should be delivered to the RYA before 1700 on Friday 29 January, together with the entry fee. Entries after this date will be accepted up to Friday 25 March subject to a late entry fee.